oof, I really should do something with my camera besides carry it around everywhere! 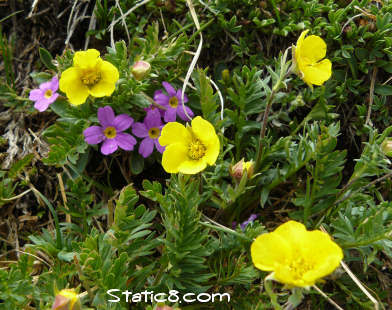 This is a pic from July in Colorado... alpine buttercups and I can't remember what the purple ones are. Usually by this time in the week, I have a huge list of stuff I need to get done over the weekend. No list made yet. I have been kind of discombobulated all this week. Just trying to get through the day, I can't even think about the weekend.